South African cricketer David Miller was born on 10 June 1989 in Pietermaritzburg, and is one of the finest left-handed batsmen of South Africa team. Not alien with the concept of cricket, David grew in a family wherein his father was club level cricketer who encouraged him to pursue cricket as his profession. During the early times of his career, David played for domestic side Dolphins, and has later on represented teams such as, Durham, Glamorgan, KwaZulu Natal, Yorkshire, Mohali, Chittagong Vikings, Uthura Rudras, Knights, St Lucia Stars, Bloem City Blazers, World XI. He was a part of the South Africa A team on their tour of Bangladesh. On his performance during the tour, he was selected in the national team in 2010 as a replacement of injured Wayne Parnell. What led to his entry in ODI is the little known fact about his great performance in his T20 debut match which was the stemming reason. In his debut T20 match in May 2010, he scored 33 off 26 balls with Proteas eventually winning the match by a single run. His habit of contributing to statistics and performance in the T20 led to his inclusion in ODI wherein he played his first ODI against West Indies in 2010. In the first two matches, his terrific batting skills helped South Africa achieve difficult targets which later helped South Africa to win the matches. Due to his remarkable performance, he was named in South Africa's preliminary 2011 ICC Cricket World Cup squad. 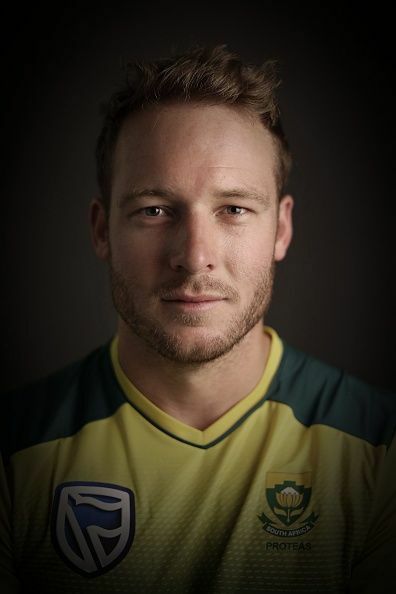 David Miller made his World Cup debut against Zimbabwe on 15th February 2015 where he scored his second ODI century and became second South African after Gary Kirsten to score a century in his world cup debut. In the semis against New Zealand he missed a half century but played so well that the performance and appreciation by fans itself compensated for the half century. Playing for the Kings XI Punjab in the 2013 Indian Premier League, Miller scored third fastest IPL century with a score of 101* in just 38 balls in Mohali and contributed towards remaking statistics. This is from where he got christened as Killer Miller by his fans. However, with the team’s poor performance, he was dropped from the captaincy post and was not retained by the team during 2018 IPL retention. Believing stats to be true, the 29-year old broke all his existing records with his latest achievement in 2017 when he surpassed the record of fastest century in T20 International cricket by scoring a hundred in just 35-balls against Bangladesh.